Do you need to ship a boat in container or boat on flatrack from Miami? WTDC loads boats onto flatracks into containers for export on a regular basis. WTDC can load boats or personal watercraft vertically on a trailer for widths that exceed 92 inches. Additionally, WTDC has the tools to remove trailer fenders, wheels and even axles if need be. Your boats and personal watercraft are handled with the utmost care and experience. On a daily basis, our vehicle transport team loads and secures boats with their custom built solutions. Let WTDC manage your boat and personal watercraft export container loadings. From title transfers to container loading and export documentation, our staff of dedicated professionals manages the entire logistics process. 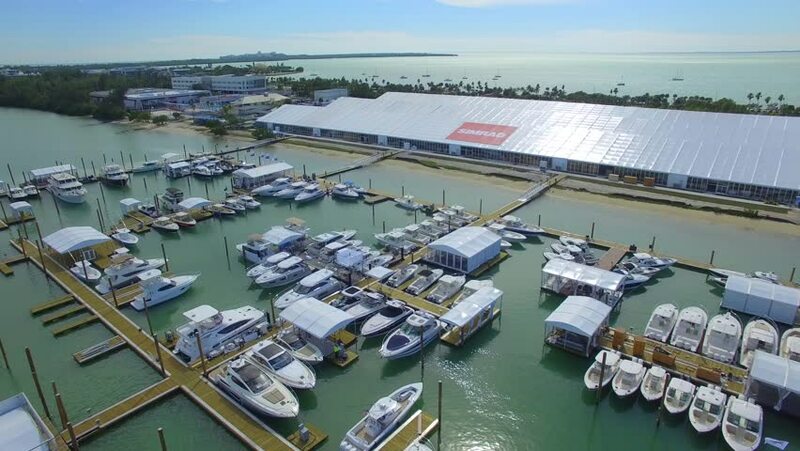 Contact WTDC for your all your shipping needs for South Florida boat shows. WTDC handles container and flat-rack loading, export documents, warehousing, packing and crating, customs clearance, and more. Contact WTDC for your next export of boats or marine supplies. Your client depends on you for premium service and exceptional attention to detail. Allow WTDC to manage your Marine Supply Chain and deliver that same level of quality from your lot to its final destination. Your boats are handled with the utmost care and experience. On a daily basis, our vehicle transport team loads and secures boats with custom built solutions.